Dr. Melanye White Dixon from Ohio State University in Columbus, Ohio is currently a Fulbright Specialist in Bandung, Indonesia. She was invited by the Faculty of Arts and Design Education, Universitas Pendidikan Indonesia (UPI) to participate as a featured speaker at the first International Conference on Arts and Design Education (ICADE) September 18-19 and also serves on the conference advisory board and paper review committee. September 20th – 27th she will be in residence at UPI conducting undergraduate and graduate lectures on dance education curriculum trends in K-12 and in Higher Ed. in the U.S., Dance Pedagogy for Children, The Ohio State University Dance Major Curriculum Model, and contributing to a proposal for collaborative research between the Ohio State University Department of Dance and the UPI Dance Education Department. 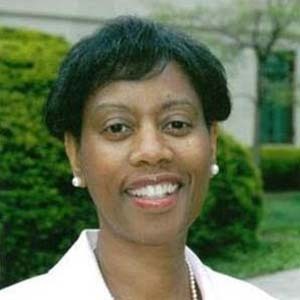 Dr. Dixon has been an associate professor in the Department of Dance at Ohio State University since 1986. She is the coordinator of dance education and teaches undergraduate and graduate courses in Dance Education Foundations, Dance Pedagogy, and Dance History. Her research has appeared in Dance Research Journal, Black Women in America, African American Dance in History and Art, African American Lives (W.E. B. Dubois Institute at Harvard University) and the 2016 Routledge Encyclopedia of Modernism. She was awarded the 2015 International Association of Blacks in Dance Educator/Scholar Award in 2016 received an Ohio State University Coca-Cola Critical Difference for Women Grant and in 2017 received the Ohio Dance Award for Outstanding Contributions to the Advancement of Dance Education.